Saliva and bacteria. 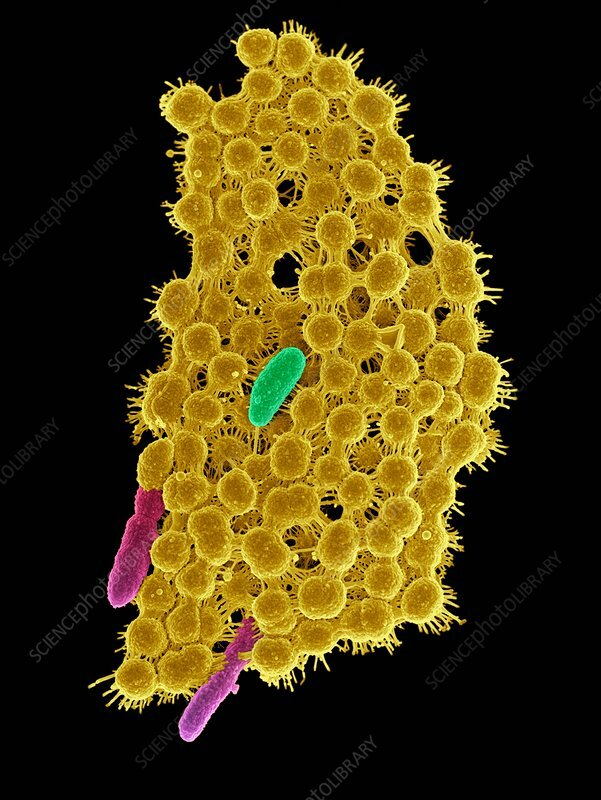 Coloured scanning electron micrograph (SEM) of a bacterial biofilm from saliva. The cluster of round bacteria (cocci) are linked together by stands of eDNA (extracellular deoxyribonucleic acid). The eDNA helps the biofilm to adhere to oral surfaces and contributes to antimicrobial resistance. Embedded in the biofilm are Aliivibrio fischeri bacteria (rod-shaped).